Disc 1 was originally released as “Live at Last” in 1980 (and again in 1996). It’s inclusion here in the “Past Lives” package is the first authorized release of that album by the band. The working name for Past Lives was originally “Live in 75”. This was rumoured for awhile to contain a full professional, legal recording of the famed “Paris 1970” bootleg, one of the more quality bootlegs out there by Black Sabbath. As noted above, some of the tracks are from Paris ’70, but not the entire gig is here. There are two versions of the original 2002 release. The standard version contains just the music in a conventional jewel case. 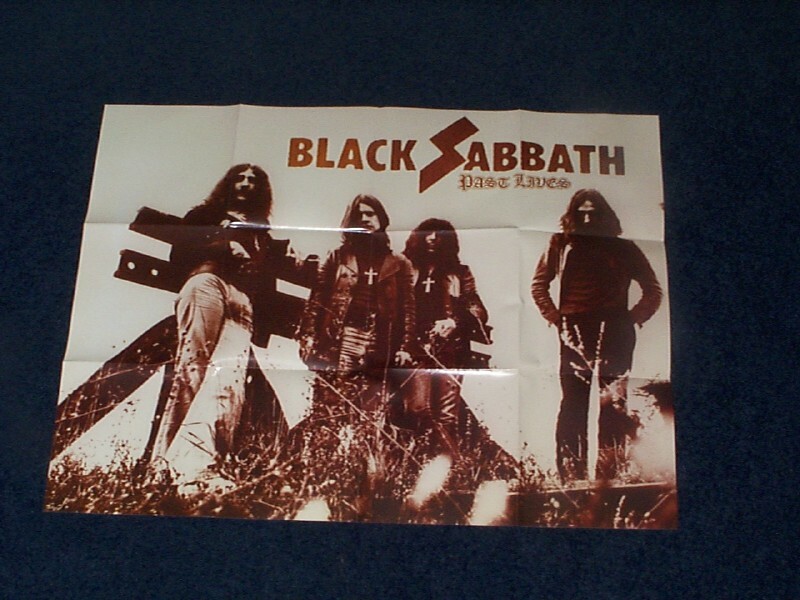 The “Limited Edition” version also includes special Digipak packaging, a fold up poster, and a Black Sabbath guitar pick. The 2010 Deluxe Edition looks externally similar to the 2002 Deluxe Edition in that it has digipak packaging, but the booklet notes are all new over the 2002 original. 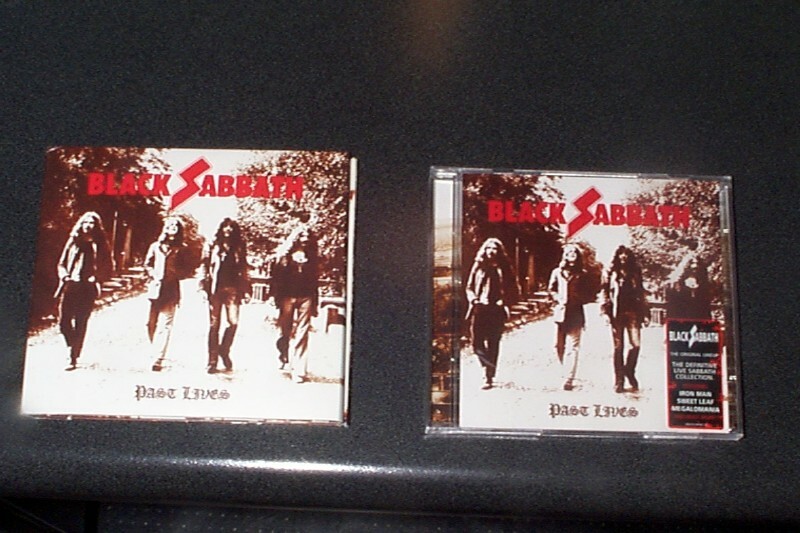 he two discs were also remastered for the 2010 release, but the track listing is the same as the older version. This release also does not have any of the “merch” from the 2002 “Limited Edition” either (the pick or the poster). 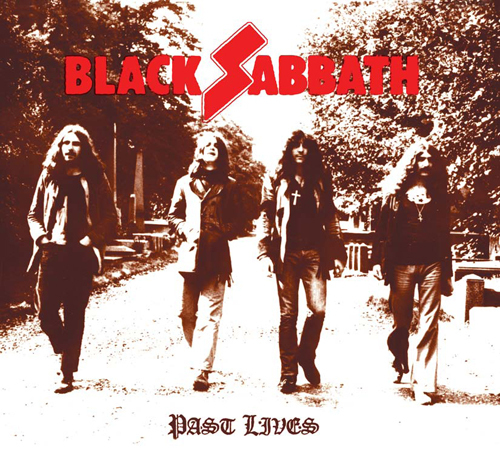 First is the cover for the 2010 “Deluxe Edition” release of Past Lives. After that are various pictures from the insides of the 2002 & 2010 packaging. This is both 2002 versions side by side. The one on the right is the “standard” version. 2002: This is what you see when you open the standard version. 2002: The right side of the standard version flips out and you see a picture of the Cal Jam photo stage that Sabbath played on. 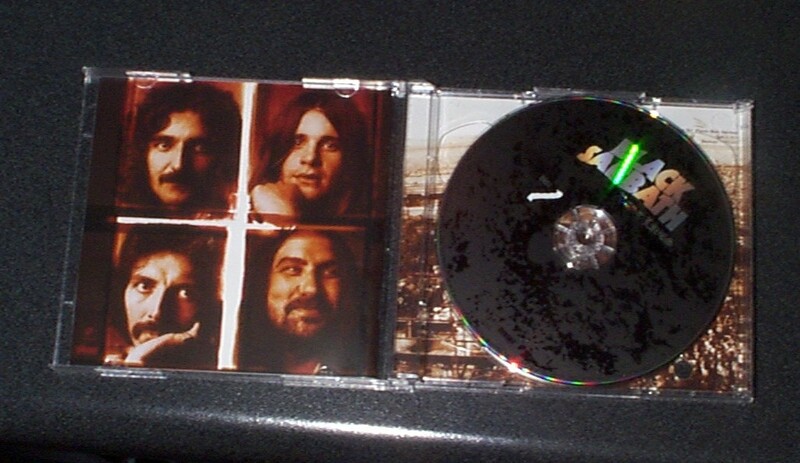 2002: This is what you see when you open the digipak version. 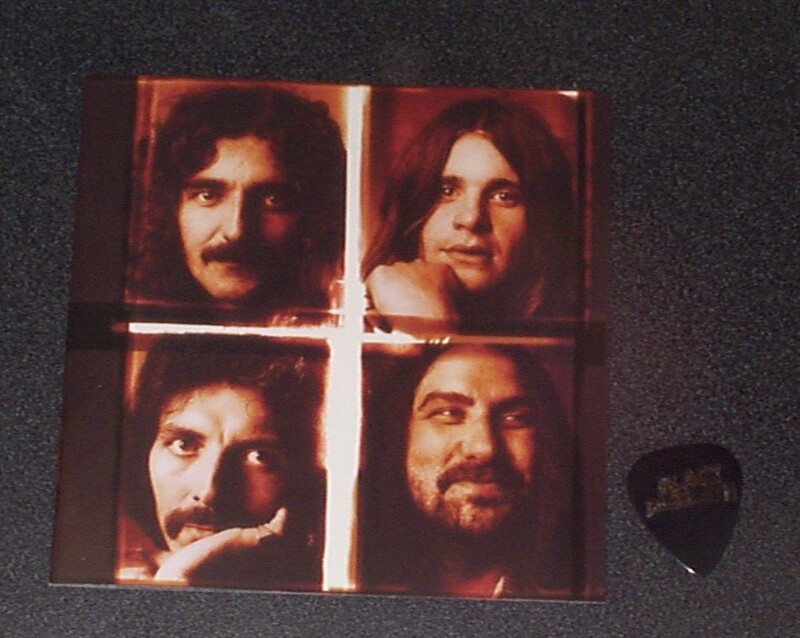 2002: Shown here are the booklet and the guitar pick from the digipak version. The booklet is the same that comes in the standard version. 2002: This is the poster that comes in the digipak version. It would need to be flattened out pretty well, as it’s all folded up inside here, but it’s a nice poster. 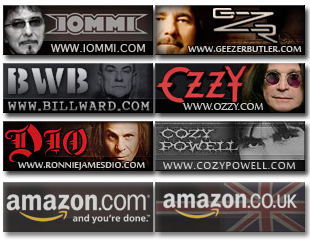 2010: This is what you see when you open the digipak. 2010: This is what you see when you fully open the packaging. The booklet is behind Bill Ward’s head. This broken Youtube video used to be a TV commercial advertisement for the Past Lives release. It has unfortunately disappeared. If anyone knows where to find it now, please email me. 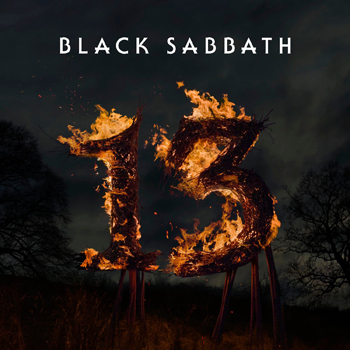 What is the cover song Sabbath does in Wicked World after the solo? The real bluesy one? 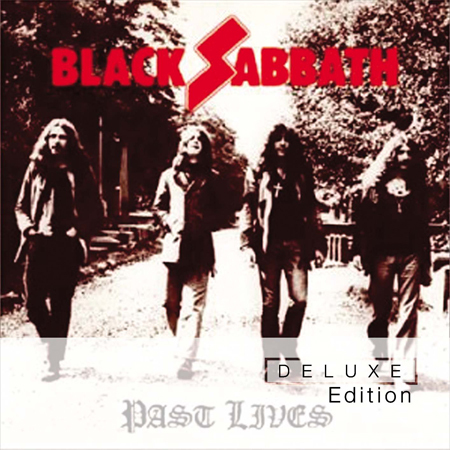 Some websites (including Amazon) have a listing for the 2010 Deluxe Edition of “Past Lives” as containing a bonus disc of additional live recordings. If this is so, I’d like to know what those recordings are, and where I can find a copy of this bonus disc. Anyone out there know? The redo of Live at Last. 22 years later. Nice. It’s not that bad, though. It’s actually a fairly well done live album. Worth waiting 22 years? No. Wrong, recorded at THÉÂTRE 140 in BRUXELLES, BELGIUM – 3 October 1970. How does the Deluxe Edition differ from the two previous ones?